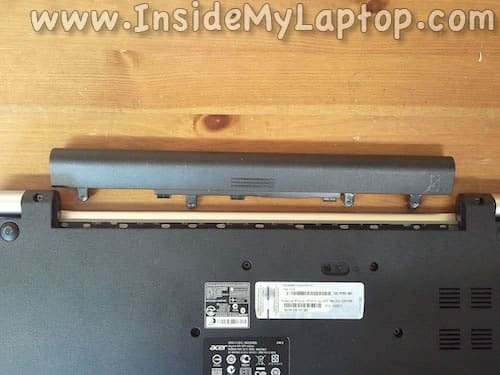 In this guide I will take apart an Acer Aspire V5-571 series laptop. 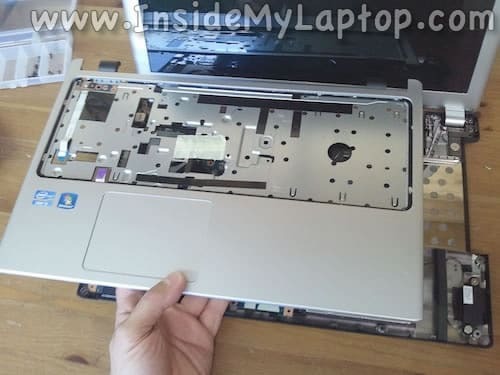 The main purpose of this disassembly is removing and replacing the hard drive which is mounted under the palm rest. Remove two screws securing the RAM cover. Under the cover you’ll get access to both RAM slots. 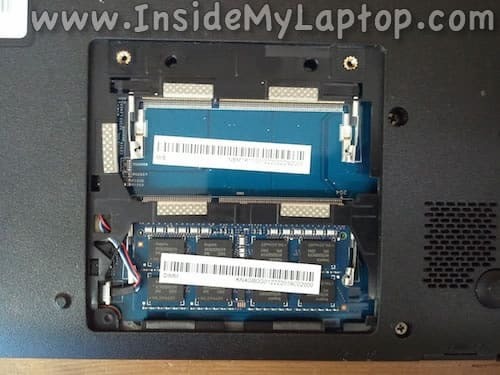 This Acer Aspire-V5-571-6889 came with only one memory module installed. Removing the keyboard on this model is a little bit tricky. You’ll have to use a knife. 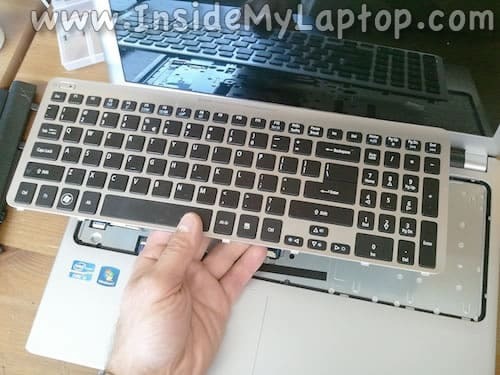 Insert the knife blade between the keyboard and top cover. 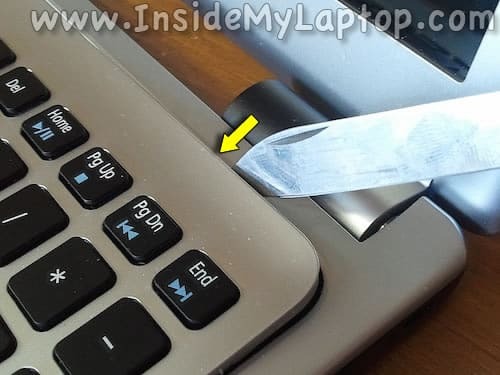 Carefully (not to damage the plastic part) push the keyboard to the show direction and at the same time lift it up. There are a few retainers securing the keyboard. You’ll have to release them with the knife blade. 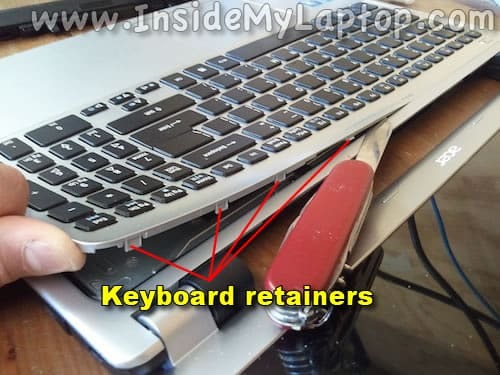 Continue lifting up the keyboard and at the same time work with the knife to release the retainers. Lift up the upper side of the keyboard and move it towards the display assembly. Slide the brown tap about 2-3 millimeters to the shown direction (green arrows). This will unlock the connector. 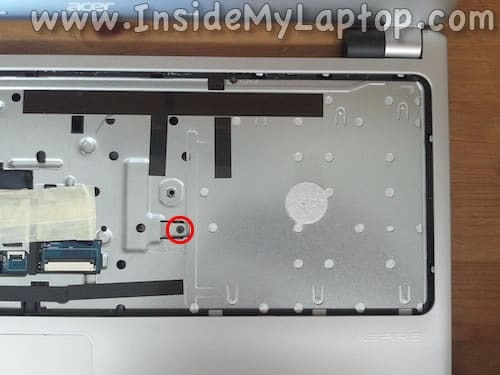 The optical drive secured by one screw located under the keyboard. 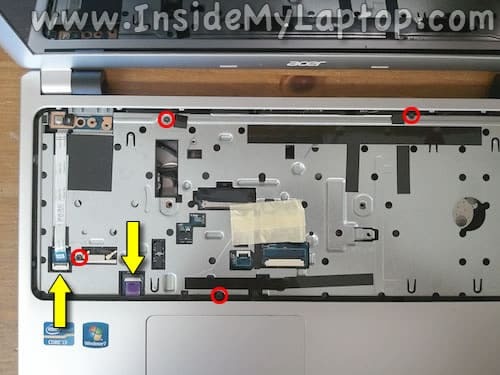 Remove the screw and turn the laptop upside down. Pull the optical drive and remove it. Remove four screws securing the top cover (palm rest) assembly. 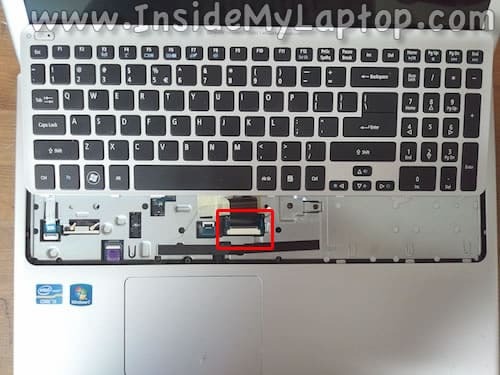 Disconnect the power button cable (left arrow) and touchpad cable (right arrow). Here’s how to unlock both connectors. Lift up the locking tap with your fingernail (green arrow). It will open up at a 90 degree angle. I’m using a guitar pick to split two parts in the palm rest area. 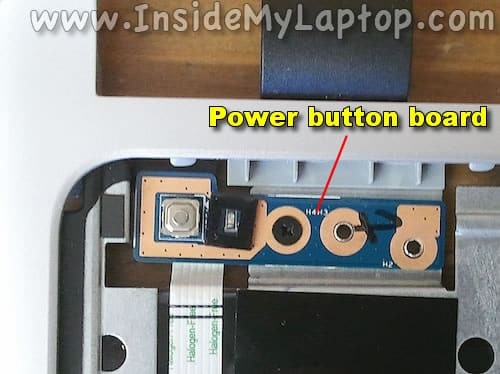 The power button board secured to the top cover by one screw and can be easily replaced if necessary. 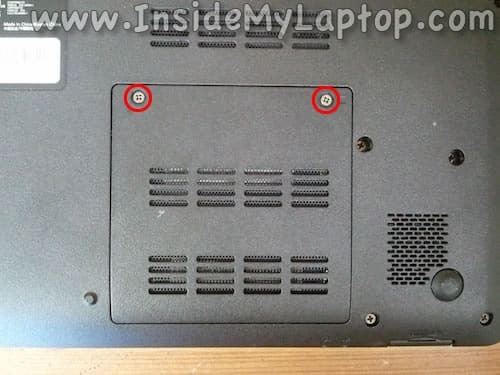 On the bottom side of the top cover you can access the touchpad. 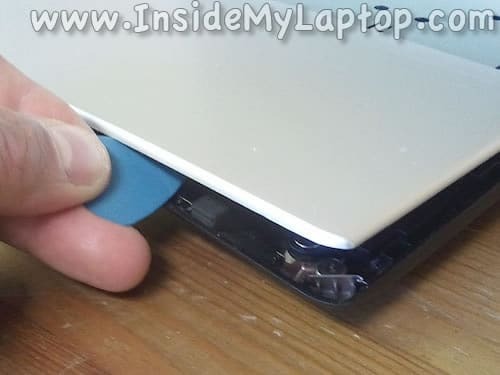 After the top cover removed you can access the hard drive. 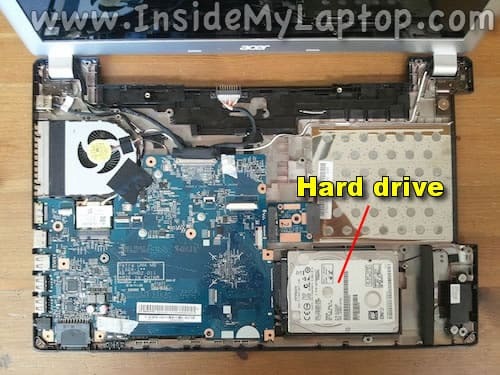 There are no screw securing the hard drive, it’s just fitted between support walls. Lift up the hard drive and disconnect the cable. Simply unplug it from the hard drive. Now you can replace the hard drive with a new one or upgrade it to SSD. Also, under the top cover you can access the DC jack harness, cooling fan and wireless card. The cooling fan is a part of the heatsink assembly. In order to replace the fan it’s necessary to remove the motherboard (shouldn’t be difficult). You can clean up the fan without removing it. Just use an air compressor (or canned air) to blow off the dust. Hello and thanks for the great guide. I need to reset the BIOS settings, but I can’t see any battery in your pictures. Is it on the other side of the motherboard? Is it easy to access the other side or is there anything else to remove? I believe it’s located on the other side of the motherboard. 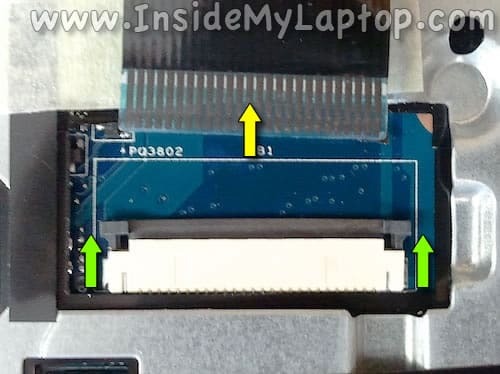 If you look at the second picture in the step 2 you’ll see both RAM slots. The CMOS battery should be on the left side from these slots. 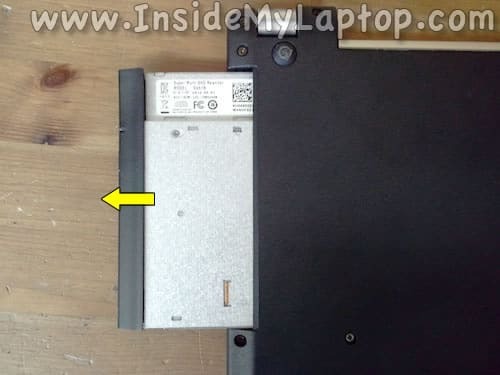 In order to access the battery you’ll have to disassemble the laptop and remove the motherboard. Is the CPU soldered onto the motherboard or is it a socket form? Have a spare i5 laying around and if i can drop it into the ol V5 thatd give it a nice kick in the pants for performance. 8GB ram did a nice trick but more is always better right? Thank you for your work and input! Have a great day! Is the CPU soldered onto the motherboard or is it a socket form? Do you have a guide for the touchscreen replacement. My wife cracked hers. The LCD is fine. I just need to replace the digitizer. Lot of work to replace a HDD. My partner has 500gb drive running out of space .Can I upgrade to 750 or 1Tbdrive. I read somewhere that 500gb was maximum size? This laptop should be able to handle 1TB HDD with no problem. Go for it. 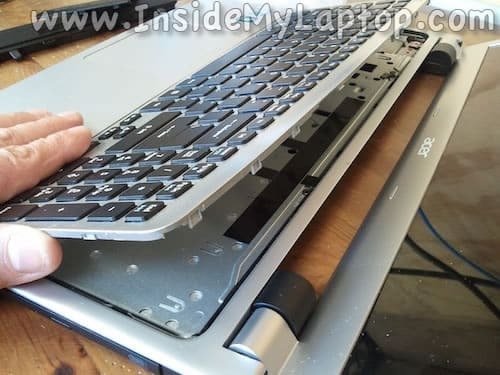 What tools would I need to do this to my Acer(same model)? 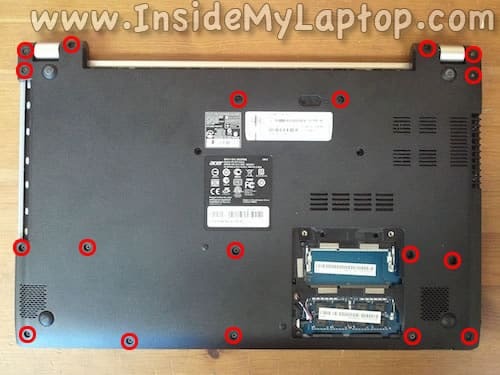 And where would be an appropriate place to disassemble my laptop? is the fan replaceable? i noticed the inside of my laptop looks a little bit different, the fan is all plastic. 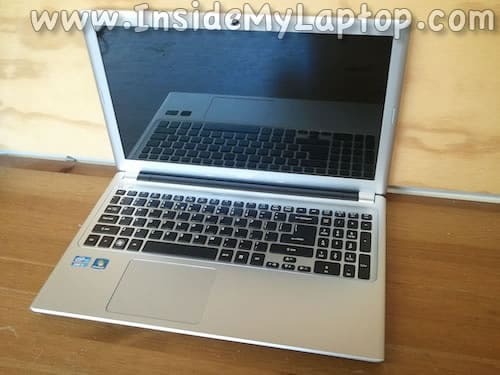 Hi, I am using Accer Aspire V5 Mani laptop, its features are CPU: AMD Dual-Core processor, A4-1250(1.0FHz) Memory: 4GB DDR3 memory, Battery: 3-cell Li-ion battery, Storage: 500 GB HDD. Please let me advised Could I change my Processor to speed up and as well as could i change the three cell abttery to 9 cell. I spilt coffee on acer v571 touch keyboard the machine works fine after an emergency clean and dry but the keyboard is messed up. can i wash the keyboard somehow to remove the coffee or do i have to replace it and if so do i need to get the key with the frame or can i reuse the old one? could you remove the CPU that has been soldered? safely for packaging and for the motherboard to accept a new CPU? 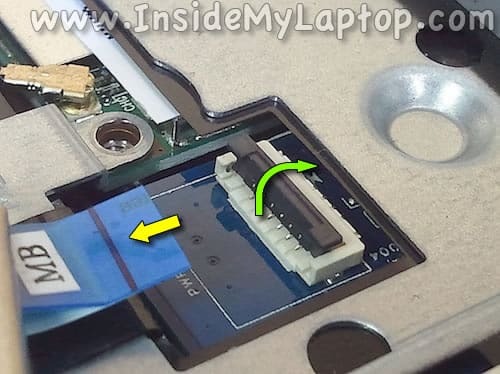 Great article I was looking on instructions on how easy it was to replace the hard drive. Thanks a lot. Is the hard drive 7.5mm or 9.5mm? 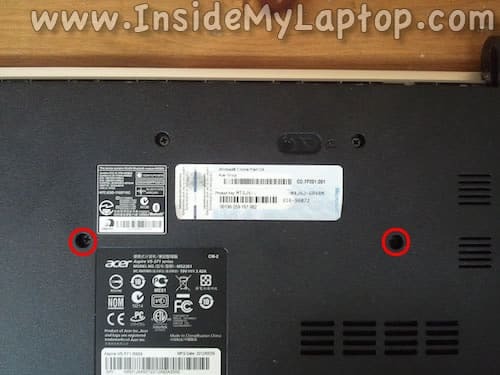 I managed to break the portion of the plastic bottom on my Acer V5 (no finger-print). The jack still works, but it’s loose. Can I re-stabilize the jack by replacing the plastic bottom cover? 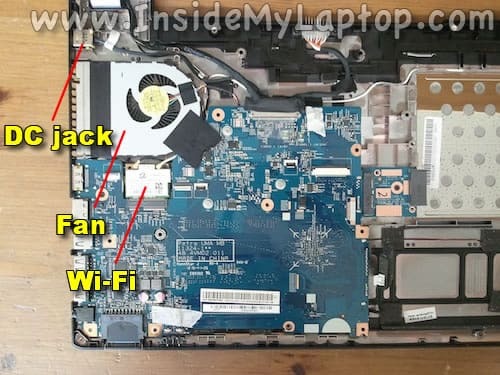 Is this something you would advise a ‘greenhorn’ to take to a computer repair shop, or is it something so easy that I could probably do it myself by following tutorials like this one? How do you unlock the battery? Usually (on all my other acer laptops) there are two slide buttons to unlock it, but on my laptop there is non, it’s the same as your photo. Do you just use pen to push into the small hole? 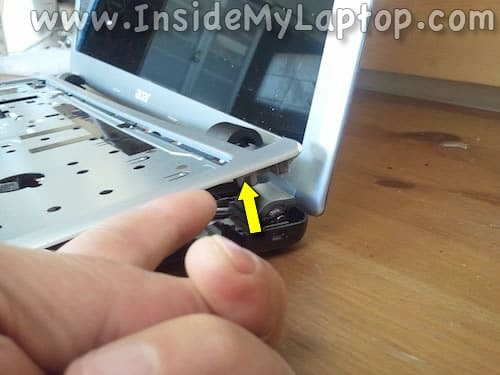 I do not want to damage the laptop/battery, I still get a few hours power time from it but not the 7 hours i’m supposed to, so I want to replace the battery, I just can’t get the bugger off!